There have been lawsuits, educational programs, and new prescribing directives in recent years, but the death toll from opioid abuse continues to climb. The National Safety Council has released sobering statistics that show Americans’ chances of dying from an opioid overdose are now greater than being killed in an auto accident. The odds of dying from an overdose are now one in 96. The chance you’ll die in a traffic accident is one in 103. "We've made significant strides in overall longevity in the United States, but we are dying from things typically called accidents at rates we haven't seen in half a century," said Ken Kolosh, manager of statistics at the National Safety Council. "We cannot be complacent about 466 lives lost every day. This new analysis reinforces that we must consistently prioritize safety at work, at home, and on the road to prevent these dire outcomes." 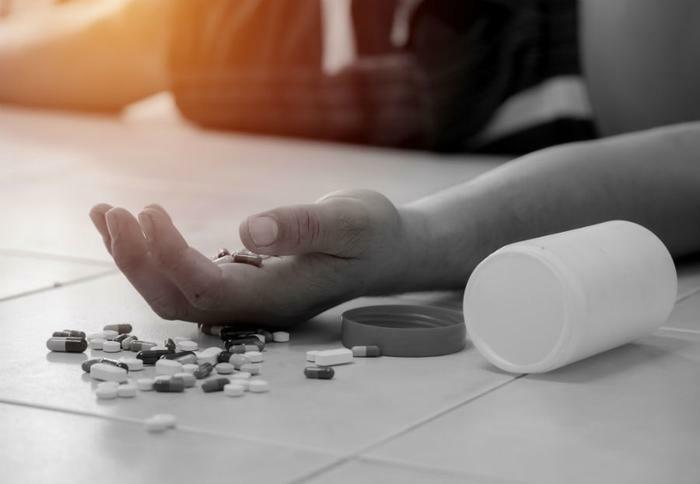 Last month, a study published in JAMA showed opioid overdose death rates among children and adolescents in the U.S. rose dramatically in the past two decades. Between 1999 and 2016, nearly 9,000 youths died of opioid poisoning, either from accidental ingestion, from intentional poisoning, or from using their parents’ prescription painkillers. The deaths were attributable to either prescription or illegal opioids, and about 40 percent of the deaths occurred at home, the researchers found. Most of the deaths -- nearly 81 percent -- were unintentional. In one of the few areas where Republicans and Democrats in Washington have found common ground, Congress passed and the president signed legislation last fall to increase funding for opioid addiction treatment. In addition to opioid overdose and auto accidents, the National Safety Council reports that falls are also a lethal threat and are now the third leading cause of accidental death in the U.S. The lifetime odds of dying from an accidental fall are now one in 114, an increase from one in 119 just a year ago. Older adults are particularly vulnerable to serious injury from falling down. A 2016 study, published in the Annals of Emergency Medicine found that more than 50 percent of seniors treated in an emergency room because of a fall either had additional falls, had to be hospitalized, or died within six months. The National Safety Council reports that preventable injuries are the third leading cause of death in the U.S., behind only heart disease and cancer. And of the top three causes of death, preventable injuries was the only category to experience an increase in 2017.